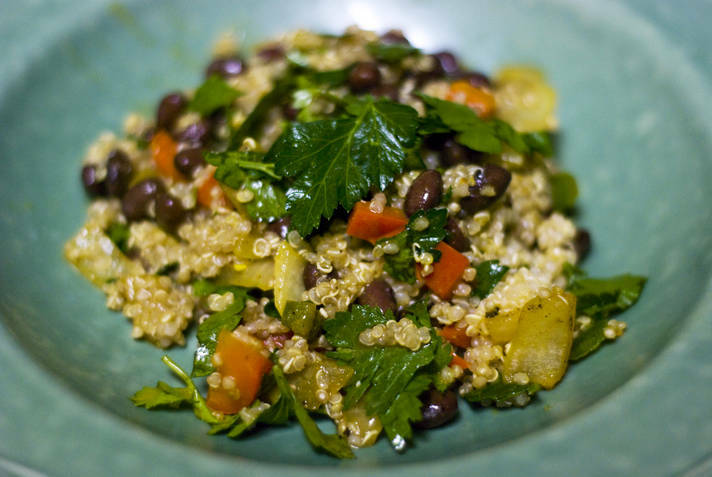 I have seen quinoa popping up on menus and in recipes all over the place. It is gaining popularity every day thanks to some famous proponents like Dr. Oz. Although it is an ancient “grain” I admit that this is a relatively new ingredient that I added to my repertoire only two or three years ago. Since then I am a huge fan! I am always looking for a way to add protein to a meal and I love grains. Rice, cous cous, bulgur, etc. Quinoa fits both bills. It has the texture and characteristics of a grain, although it is not a grain at all. You can even eat it on Passover. It is high in protein, fiber and magnesium – an all around super food! Some brands of quinoa come pre-washed. Others do not. Just be sure to follow the package directions as there is a bitter, soapy film on the quinoa that needs to be rinsed off before it is cooked. Once it is washed it cooks very similarly to rice. Although I am not a vegetarian I try not to eat a lot of meat, and I have a lot of vegetarian friends. I wanted to come up with a healthy and satisfying meatless dish. This recipe is all that and more. I have already touted the health benefits of quinoa. I also added red bell peppers for color and vitamin C. Tumeric is my go to health spice and black beans add additional protein and fiber. Most importantly – it tastes really good! 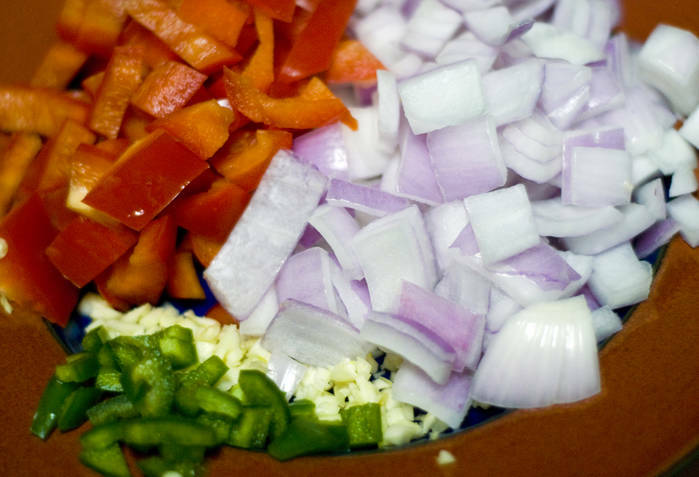 It can be served as a main dish or side dish; hot, cold or room temperature. Cook 1 cup of quinoa according to the package directions. 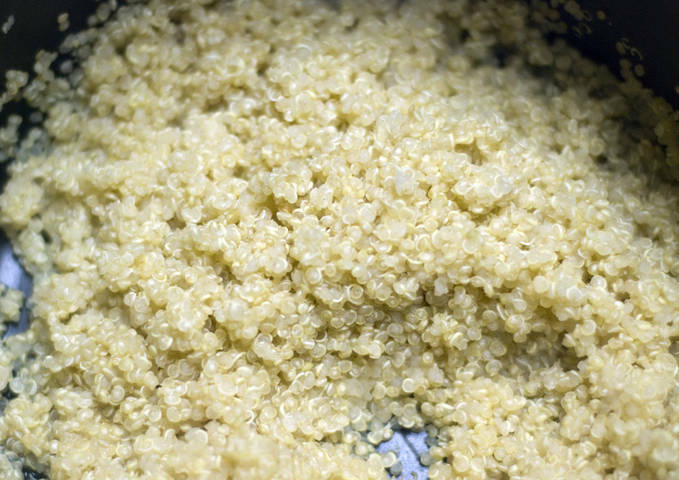 While the quinoa is cooking add 2 teaspoons of olive oil into a large skillet over medium heat. 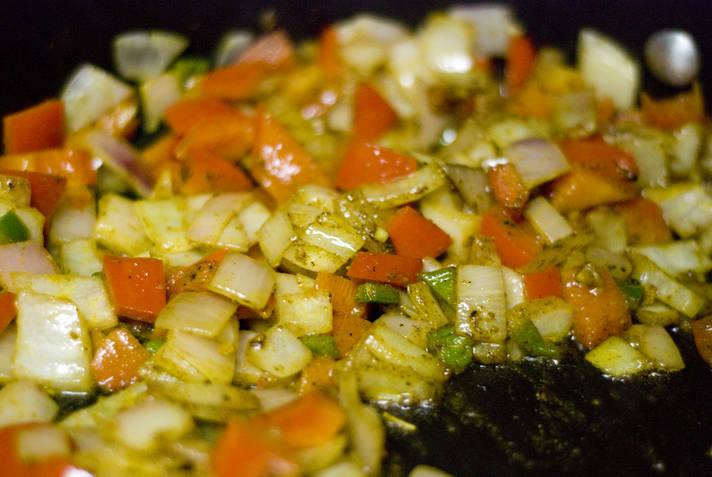 Sauté the garlic, onion, red pepper and jalapeno with the turmeric, cumin, 1 teaspoon salt and a few grinds of cracked pepper. Continue to cook until the vegetables are softened – about 7 to 8 minutes stirring frequently. To make the dressing, whisk together the zest of half the lemon, the juice of the whole lemon with 2 tablespoons of olive oil, ½ teaspoon of salt and some cracked pepper. 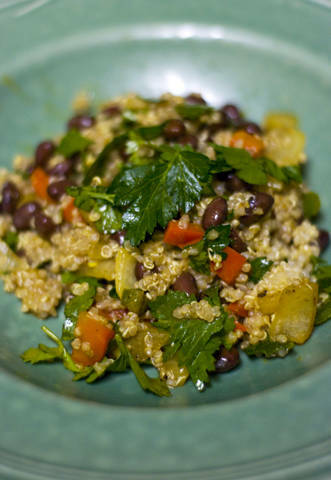 Once the quinoa is cooked, combine in a large bowl with the cooked vegetables, a can of rinsed black beans, chopped cilantro, parsley and dressing. Toss until all ingredients are mixed well. I loved this dish. It was easy to make and so flavorful. This was very easy to make and was very good! I added a green pepper to it since I had it in the house. I’m looking forward to making it again! I am glad you liked it! Green peppers would be a nice addition.